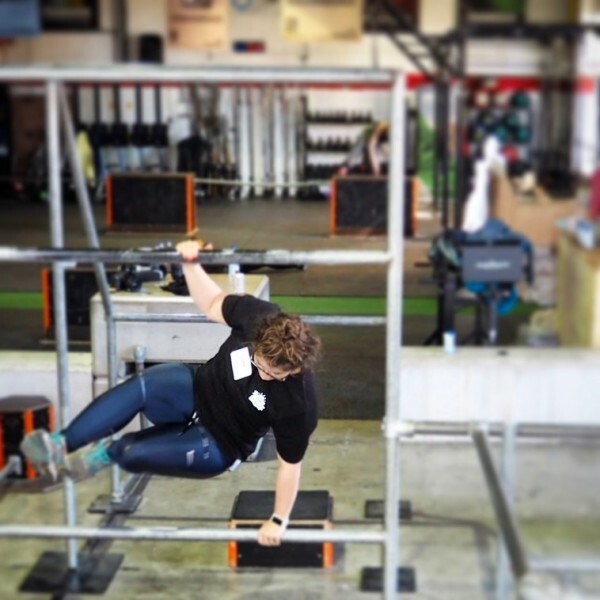 Every so often I get the opportunity to try something new that fills me with excitement (and just a tiny bit of nerves) and last weekend was one of them. 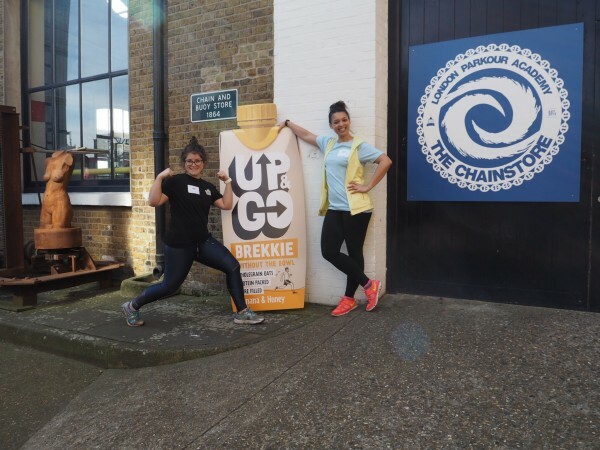 I was invited by Up&Go UK to the start of their dawn breakers series to celebrate what you can do when you can grab your breakfast to go. I’ve never done parkour before so when I saw that we’d be trying it I was far too excited, I’ve always wanted to give it a go. We went to the Chainstore Gym which is in a little wharf directly over the river from the O2 arena (or Millennium Dome if you remember when it was called that). With lovely views over the river and a cute little cafe it was a gem in a confusing area of dual carriageways. After an introduction to Up&Go and parkour we got stuck into a warm-up consisting of stretches, movement and learning how to jump with soft landings on the balls of our feet. 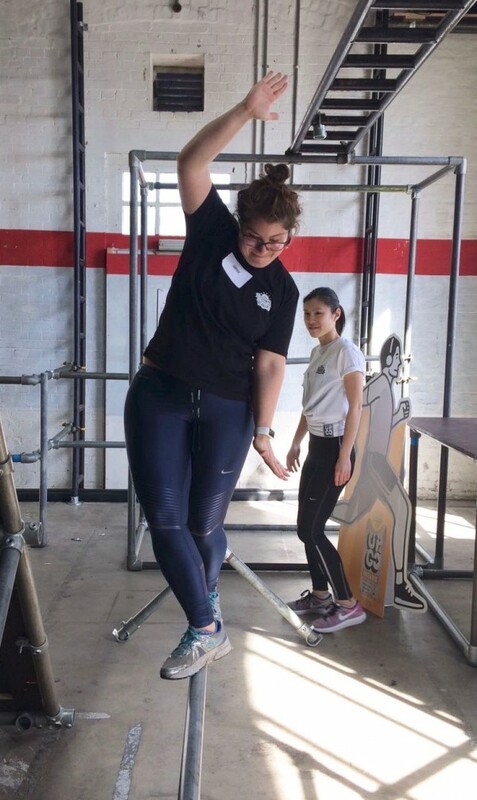 We then moved into some of the fundamental moves of parkour such as how to vault over and through boxes and rails in all sorts of different ways. All of these moves got strung together at the end for a ‘route’ or ‘flow’ which was totally exhilarating! 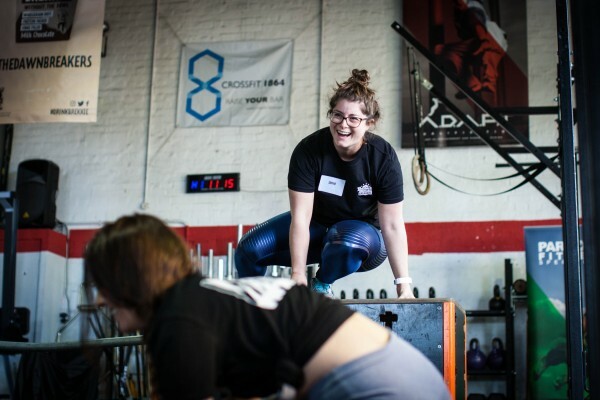 You almost forget that it’s a workout until you’re dripping in sweat because you’re constantly looking for the next obstacle. The hardest thing for me to get into my brain was not to put my knees down on any surface. Apparently the secret to Parkour is to use areas of your body that have plenty of padding and shock-absorption i.e. your feet, hands, bum and back if needed. We then headed outside to try some wall runs (yes, literally trying to run up a 9 foot wall) and learn some new vaults over some raised railings. After a good stretch and some photo opps I headed for lunch with Carly (Project Hot B*tch) and we compared our bruises, scrapes and scratches whilst absolutely buzzing about what we’d just learnt. 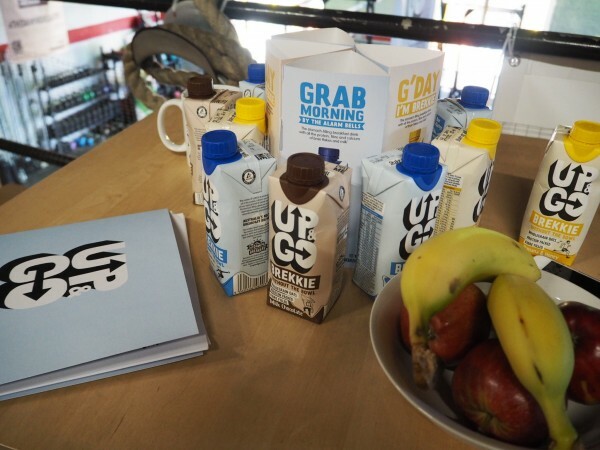 The idea of Up&Go is that it’s a carbohydrate-filled (from wholegrain oat flour) breakfast drink to fuel your morning workout if you don’t have time to make something. With just over 200 calories per 330ml carton it’s definitely a pre-breakfast snack to keep you going until after a workout but with 28.5g of carbs it’s perfect to fuel your muscles. The 12.8g of protein from skimmed milk is also a useful boost for your muscles to help maintain them during your workout. It comes in 3 flavours, banana & honey, chocolate and vanilla (my fave because it tastes like custard) so there’s something for everyone. You can try them at Tesco, Waitrose, Sainsburys, Asda, Co-op, WH Smith, One Stop and Ocado.